Sixty years deep in the Bend winter sports scene, Skjersaa’s offers it all. 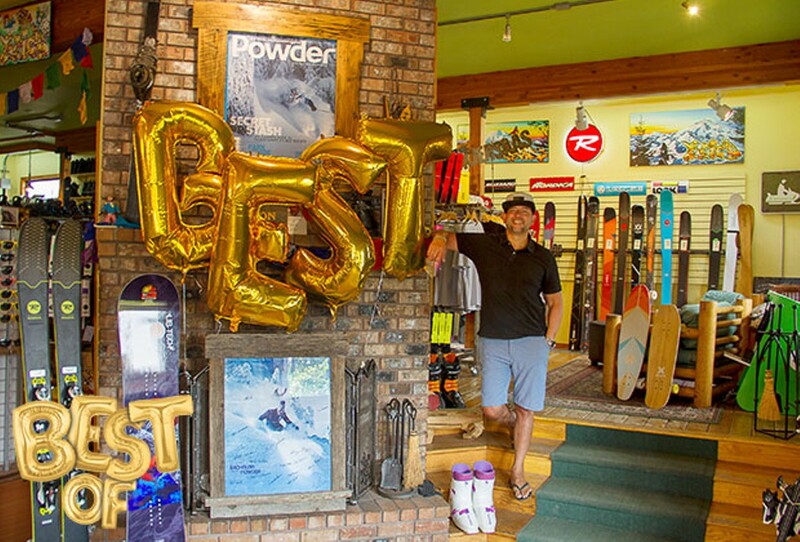 Their passion and dedication to snowboarding and skiing started with Olaf Skjersaa back in the day and is reflected in the present staff through product knowledge and customer service. Packed all your kiddie stuff but forgot your own gloves? Need a beer after hot laps on the backside? P-tex necessary after some early season tree runs? Conveniently located on the way to Mount Bachelor on 14th Street, powder hounds can stop in for last-minute supplies on the way up the hill or after a big day out. With a full-service shop, repairs and wax jobs are no problem. Plus, with an in-house ski shop pub, you’ll be begging the techs to take their time as you try all the tap handles at the bar. Enjoy a fireside chat about the day’s epic pow with other knuckle draggers and scope out the latest and greatest from top brands. In an outdoor city where snowboarding and skiing can sometimes be divided shop-to-shop, Skjersaa’s doesn’t discriminate. Backcountry, downhill, splitboarding and more, they can outfit winter goers for any adventure. The staff gets to know a visitor’s snowboard or ski level and goals when outfitting boots, bindings and planks. Skjersaa’s prides themselves on welcoming any and all snow enthusiasts and hopes to keep ushering the charge for 60 more years to come.